Browse > Home » What are the steps involved in the loan process? The information your lender needs is not much different than what is needed when you apply for a major credit card: names and addresses of your employer and bank account numbers and balances. The lender will also need other financial information such as installment payments, auto loans, charge cards, and department store accounts. The location and description of the property also are required. Your lender may verify this information with your present and past employers, order a routine credit report on your current and past accounts, and order a professional appraisal of the property you’re wanting to purchase. 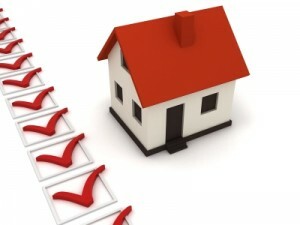 Spend some time before you start looking at homes to complete a loan application and the “Pre-Approval” process. Then once all the verifications have been completed, your lender will underwrite and approve the loan soon after you have made an offer on your new home. Overall, the time from the date of application to the date of move-in is generally four to five weeks for conventional loans and five to seven weeks from the date of application for FHA and VA loans.